In general, you can visit Scarlet Tanager Brands Websites without telling us who you are or revealing any personal information about yourself. Our web servers track the Internet domain address from which people visit us and analyze this data for trends and statistics, but individual users will remain anonymous, unless you voluntarily tell us who you are. There may be times (such as when you place an order, sign up to receive catalogs or email newsletters, or participate in contests, sweepstakes or promotions, etc.) when we ask you to provide certain information about yourself, such as your name, shipping and billing addresses, telephone number, email address, credit card information, etc. We also maintain a record of your online purchases from our Website. Whether or not to provide such information is completely your own choice. But if you choose not to provide the information we request, you may be unable to make purchases, participate in special offers, or access certain content on our Website. Scarlet Tanager Brands will use the personally identifiable information you provide for internal purposes, such as confirming and tracking your order or registration, analyzing trends and statistics, informing you about our products, services and special offers, and providing you with information from and about Scarlet Tanager Brands. From time to time we might establish a business relationship with other persons or entities whom we believe trustworthy and whom we have asked to confirm that their privacy policies are consistent with ours. These are known as our Marketing Partners. In the course of such business relationships we might share and cross-reference information, including personally identifiable information about you, that will enable such persons or entities to contact you regarding products and services that may be of interest to you. To serve you better, we may combine information you give us online, over the phone or through the mail. We may also combine that information with publicly available information and information we receive from our Marketing Partners and others. We use that combined information to enhance and personalize your shopping experience with us, to communicate with you about our products and special offers that may be of interest to you, and for other promotional purposes. We may contract with companies or persons to provide certain services including credit card processing, shipping, data management, promotional services, etc. We call them our Service Providers. We provide our Service Providers with the information needed for them to perform these services, including your personally identifiable information when necessary. Although unlikely, in certain instances we may disclose your personally identifiable information when we have reason to believe that it is necessary to identify, contact or bring legal action against persons or entities who may be causing injury to you, to Scarlet Tanager Brands or to others. We may also disclose your personally identifiable information when the law requires it. At Scarlet Tanager Brands, we want to communicate with you only if you want to hear from us. If you prefer not to receive information from us or from our Marketing Partners please let us know by calling us, by sending us an email, or by contacting us by mail at the address above. Please be sure to include your email address, full name, mailing address and specifically what information you do not want to receive. If you would like to update or correct your email address, street address or other personal information with us please contact us in the same manner described above along with the current information on our records and the information that you would like our records updated to. Please note that these requests may take up to 6-8 weeks to become effective, particularly when the changes affect postal mailings. 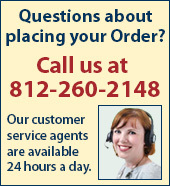 In addition, when you purchase from us online or through our catalogs, or when you choose to enter a sweepstakes or other promotion, we may need to contact you via phone, email or physical mail to address questions or issues specific to your order, entry, etc., even if you have opted to not receive communications from us. Also note, if you delete certain information you may not be able to continue to purchase products or access other portions of our Website without entering additional information. You may request a description of the types of customer information we may share with others and a list of the entities with which we may have shared customer information in the preceding calendar year, by mailing us at the above address or by sending an email to us. We send mobile offers and promotions to mobile devices of customers who have requested to receive them via an opt-in request. Message and data rates may apply. To stop receiving these messages at any time, contact Michigan Bulb customer service at (812) 260-2148 or follow the STOP and HELP instructions within our text messages. We will send up to 7 messages per week. We use sophisticated encryption and authentication tools to protect the security of your personal information that you share with us. Unfortunately, however, much like offline transactions, no data transmission over the Internet can be guaranteed to be 100% secure. As a result, while we take every precaution to protect your personal information, we cannot guarantee or warrant the security of any information you transmit to or from our Websites, and you do so at your own risk. Rest assured, once we receive your transmission, we will do our best to protect its security on our systems. We urge you to keep the password you use with Scarlet Tanager Brands in a safe place and not to divulge it to anyone. Also remember to close your browser window when you have finished your visit to our Websites. This is to ensure that others cannot access your account, especially if you are sharing a computer with someone else or are using a computer in a public place such as a library or hotel..
Scarlet Tanager Brands take special care to protect the safety and privacy of children. Our websites are general audience sites. It is our policy, in compliance with the requirements of the Children's Online Privacy Protection Act (COPPA), not to collect information online about or from children age 13 and under. We also do not send email or regular US Mail correspondence to anyone under the age of 13 without their parent's consent. Children under the age of 13 should always ask their parents or guardians for permission before providing any personal information to anyone online and should then do so only under supervision of their parents or guardians. We urge parents and guardians to participate in their children's online activities and use parental control or other web filtering technology to supervise children's access to the web.